What skills do you need to have a successful accounting/finance career in higher education? The #1 thing this CFO looks for when hiring her accounting team. How to find accounting jobs that allow you to travel abroad. A few cautions before you agree to an expat assignment. 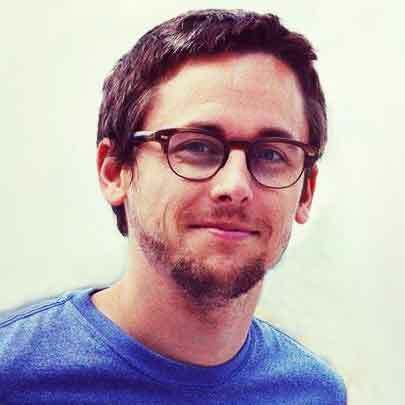 How to learn a new language while working abroad. How she helps more kids attend college. Why you should consider learning the Lean methodology. Bob Berchtold: This is Abacus, I’m Bob the CPA. My guest today is Erika Steiner, she’s worn a lot of hats in her career and now she’s the CFO of the Connecticut State Colleges and Universities System. We’ll talk about how working this government job is different than public accounting or industry. Erika Steiner: It’s quite different going into a state institution, things move at a slower pace. Bob Berchtold: What her day-to-day life looks like. Erika Steiner: We respond to questions from state legislatures, from the governor’s office, from other government agencies on a day-to-day basis. Bob Berchtold: And the most important things she does as a CFO. Erika Steiner: My very most important contribution to everything that I do here is to try and minimize tuition. Bob Berchtold: All this coming up on Abacus, let’s go. 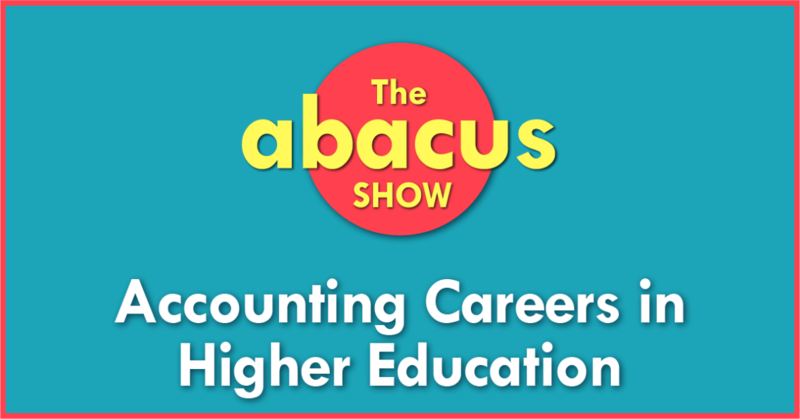 Hello, hello, and welcome back to the Abacus Show, where I’m spending the entire season talking to accountant who I think have really interesting jobs to help you get an idea of what accounting careers are out there for you. Today you’ll hear from Erika Steiner. Her career has taken her through multiple industries, overseas, and she even had to learn German by moving to Germany for an ex-pat assignment. Today, she’s the CFO of the Connecticut State Colleges and Universities System. She’ll share how she got started, a few things she’s learned along the way, and what you need to know if you find her on the other side of the table in your next job interview. Don’t forget, you can always get links to everything we talk about and you can even enter your email and I’ll send you a few of my hand picked episodes from the show by visiting AbacusShow.com/304. Let’s get right into it with Erika Steiner. Bob Berchtold: All right, and so I was taking a look through your LinkedIn profile, I know it’s kind of hard to get good detail from that, but it kind of gave me broad strokes of where you’ve been and what you’ve been up to. Would you mind just giving us maybe the high level view of what you’re doing now and what the day-to-day looks like now, and then maybe the jobs you’ve had along the way that kind of helped you get to where you are? Erika Steiner: Sure, be happy to. My job as Chief Financial Officer is to manage the 17 institutions. Each one has a fiscal officer and they have responsibilities locally, and then of course they all have responsibilities back to me. Part of the day-to-day is managing budgets and making sure that people are in line. We do all the budgeting from the system location, so that takes up a lot of time. We issue four audited sets of financial statements every year and that takes some time too. Even though we are state organizations, we have to issue our separate financial statements. That’s also another interesting point, is for those of the listeners who have spent some time in industry, it’s quite different going into a state institution, things move at a slower pace. More like a glacier than a waterfall. It takes about six months actually to close a set of books in this type of an organization, and that’s really not uncommon in higher education. On the day-to-day basis, I don’t have a day-to-day basis, every day is a little bit different. We respond to questions from state legislatures, from the governor’s office, from other government agencies on a day-to-day basis. We look at stat plans and see how we’re progressing. We just introduced Lean into my organization and we’ve run a couple of Lean events and for those of you who aren’t familiar with that, it’s a process under which you look at your processes and evaluate how you might be able to do things more efficiently and effectively. It actually started in the manufacturing industry, but Lean has pretty much spread through all service industries and every type of organization. We’re spending quite a bit of time doing that too. As one might expect, states are not flush with funds any longer, so trying to look at different ways to do things and do them better, faster, smarter, with fewer people is a constant concern of mine and my staff. That pretty much surmises my day-to-day, did you have any questions Bob that I should expound on? Bob Berchtold: I think there’s a couple things I can pick apart and we’ll dig into later, but would you mind just kind of walking us through maybe how you started in your career and then any important highlights of maybe jobs you’ve had along the way? Erika Steiner: Sure. I guess in many respects have a traditional background. I started in public accounting, I was with Deloitte and Touche and was there for about seven years. Stayed through a couple of years of being a manager and then decided that it was time for me to move on. I began my next phase of my career as a controller. I was particularly looking forward to traveling so I got a controllership that allowed me to do a lot of international travel, which was important to me. It was in an industry that I’m not that familiar with, it’s a fishing tackle company, which was a part of a larger sports and leisure organization. The main things that I got from that were the ability to think on my feet because I was frequently going into countries and trying to grapple with different laws and different ways of looking at things, and just being able to manage my own world a little bit. I went from there and continued to larger controllerships so every move that I made in my career was upward. I was fortunate enough not to do any lateral moving, and eventually I moved into the role of Chief Financial Officer. My first job as a Chief Financial Officer was with publicly held company that manufactures aluminum wheels for the auto industry, enjoyed that greatly and did that for several years, and then had a need I’ll say to do a geographical move. I moved from the west coast to the east coast and picked up another Chief Financial Officer position here in the east coast. Then wanted to do something different, so I had started out as a member of the Board of Governors for a small privately held university and just really, really fell in love with the concept of higher education. It was a little bit more of an ability to give back. When the opportunity came to be the Chief Financial Officer in a higher education environment I kind of grabbed at it, and that’s how I wound up here. Bob Berchtold: It sounds like you haven’t been afraid to make some maybe less traditional moves. I know a lot of people feel like once they’re in one industry they want to stay in that industry, maybe they look at the competitors for new jobs. It sounds like you’ve jumped around and moved around a lot. How would you say you think about maybe when it’s time to make a career move, or you mentioned that you wanted to travel, how did you go about finding a job that would allow you to travel? Erika Steiner: Well in the very first instance, I just took the job that had a lot of international business in it, so by definition you know you’re going to be doing some international travel. This particular company had subsidiaries and divisions all over the world, so I knew just by looking at the nature of the job that there would be some travel involved. The second time I looked at an international opportunity was actually an ex-pat assignment. The company that I was working for was looking for a controller in a German automotive plant and I applied internally for that and got the position. I lived in Germany for two years, working in the automotive industry, which was fabulous. I guess that would bring me both to encourage and to caution people who might be listening to this because when you do an ex-pat assignment I think you really have to do that for yourself. There were some thoughts that it would be career enhancing and it would help with upward mobility, but I’m not sure that that always pans out. When I took the position it was really because I wanted to go live and work in Europe for a couple of years and I thought that that would be interesting for my professional development personally, not because it would enable me to get a big job when I came back. In fact, the company that I was working for, which was a huge conglomerate, during the time that I was in Europe, they kind of shrunk back and started selling off divisions, so by the time I got back from my ex-pat assignment there really wasn’t much left in southern California, which is where I was from. It didn’t turn out to be an enhancement with my position with that company but it added so much depth to the way I looked at things and the way I approached my jobs that it was just really personally career enhancing. Bob Berchtold: Did you speak German before you went over there or did you learn that while you were there? Erika Steiner: I learned it while I was there. When people ask me what my biggest accomplishment was in my career, I always say, “I learned how to speak German on the fly.” Very hard language, but it was a german speaking office so I had to speak German. The way I approached it is before work at 6:00 in the morning, every single day I’d go meet with an instructor who would teach me and let me practice, and then I’d go to work for eight hours, or twelve hours, or however long the day was, and I just kept that up. Eventually between the lessons and the office and doing simple things like going to the grocery store, I really did pick up the language, I spoke it almost fluently after a couple of years. Bob Berchtold: That is impressive, wow. Yeah, I can’t imagine trying to actually work in an accounting role somewhere where I don’t speak the language, so that’s very impressive to me. Erika Steiner: Yeah, it was interesting. As I had mentioned, it was in the auto industry so some of my first German words had to do with automotive parts and very technical German words that nobody in Germany even uses regularly. It was quite interesting. I recommend that to anybody, to go overseas and work for a couple of years. It’s just very eye-opening and it’s a growth experience for you. It may help your career or it may not, but you’ll feel better for it if you do it. Bob Berchtold: Going back in time, you said you were at the big four, you were at Deloitte for seven years. If you had to kind of take a step back and look back at your career, and knowing what you know now, would you do anything differently? Would you stay longer? Would you stay shorter? Do you kind of like how everything panned out? Erika Steiner: I think about that from time-to-time and I certainly thought about it before this phone call. No, I would not have changed anything. I think most people in our profession are inherently not risk takers, so I guess I encourage people and I encourage myself to do take risks. It’s hard for us, we’re people that like certainty and it’s not necessarily in our nature. The slight risk that I did take, including changing industries from time-to-time, I think that they just enhanced me. I think they were good for me. My advice to my 25 year old self and to anybody who’s 25 listening is to take chances, and if something seems a little bit different and not along the path that you had envisioned for yourself, do it anyway. It’s good for you. Bob Berchtold: I love that. I guess I’m going to ask you, it’s a really corny question, I’ll just say that. What is your superpower? What do you do better than anyone else that makes you really good at your job? I guess it could be job or personal life. Erika Steiner: Well, I’ll start with my job because those of us who have spent time in accounting take it for granted. It seems like it should be easy, what’s so hard about accounting? It’s not easy, people don’t understand it. My superpower and one that I think everybody should develop is the ability to speak in plain english, and I have too many colleagues that I’ve worked with over the years that can’t do that. If you can’t convey a message in plain english then you’re not really helping your organization. That’s been the positive feedback that I’ve gotten from presidents that I’ve worked with is that I can speak in a language that everybody cross-functionally can understand. I think that that’s a trait that I would recommend for everybody to work on. I think from a smaller view, my best attribute in this field is analysis. I feel like I can look at numbers and they speak to me, and I can find opportunities, and find problems, and I can spot them pretty quickly. That’s something I think I’ve developed over many, many years in the practice. Bob Berchtold: You mentioned the transition to the state run institution as the books close more slowly and I guess just a general slower pace. Was there anything else that kind of shocked you or surprised you either in a good way or a bad way when you were making that transition? Erika Steiner: Well, it’s a different field. I would characterize it in the sunset of my career. I’ve worked for publicly held companies, I dealt with the FCC, I dealt with investors, and I just felt like it was time to give back. To me this was an opportunity to create an environment where I could get more kids into school. My very most important contribution to everything that I do here is to try and minimize tuition because in a state environment, in a state higher education environment, many of our students are just struggling to be able to pay tuition. That’s my central focus and more specifically to your question, the reason that’s so different than what I’ve done before is because in the past, things like pricing and cost were things that I worked on hard and recommended. Now, I’m looking at tuition, which impacts people’s personal lives, it’s not just a product that somebody will buy. I think that the emphasis on how do we make sure that we can contain that to the best of our ability has just become so paramount and so important that that surprised me, how critical some of the little decisions that we’re making can be and how that can impact people’s lives. Bob Berchtold: Yeah, that’s something I never would have thought of before you get in there, but there is like, one little rule could just impact thousands of your students, so yeah, that’s got to be a little bit stressful and kind of make you appreciate to take a step back and think about things a little bit more. Erika Steiner: Yeah. Fortunately it’s not stressful because I just feel like we’re doing good things and we’re contributing the best that we can to the welfare of students and prospective students. It is different and it is challenging. All right, let’s get back into the interview with Erika. Another one of the purposes of this season of the show is to not only share your story of where you are and how you got there but kind of give people a glimpse of maybe if this is a career path that they want to move down, kind of help them, kind of nudge them down that path. I was wondering if you wouldn’t mind telling us what your current team looks like and when you’re hiring, what are the, whether it’s skills, or experience, or just personal attributes, what are you looking for in a new hire when somebody comes on and wants to join your team? Erika Steiner: That’s a great question. I have under me sort of a different cadre of responsibilities, a little bit different than my departments were in publicly held companies. 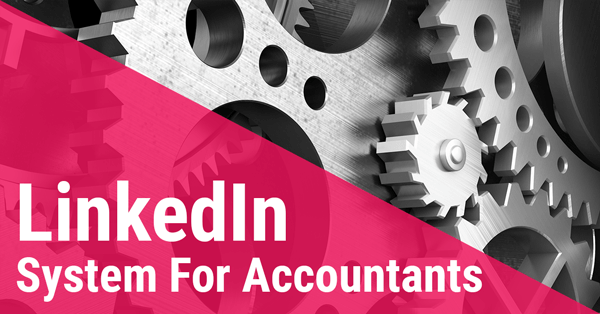 The typical CFO has accounting, and financing budgeting, and internal audit, and sometimes IT. In this capacity, I’m also responsible for facilities and trying to build out buildings for higher education is like managing a small state or at least a big city. I have different types of employees here. In the more traditional accounting and finance roles, it’s a little bit less the traditional public accounting types and a little bit more of how have you dealt with shared services? What kind of things have you done to look at costs and to be really scrutinizing them, and coming up with really creative ideas on different ways to do things? My staff right now is spread all over the place. Each one of my institutions has a head of finance or a Chief Financial Officer and I also have a local staff in the system office, we call ourselves. I’ve got a director of budgeting, I have a controller, I do have an internal audit department, and then I have the facilities organization, I have contracts reporting to me. I think if someone is interested in a career path that will give you a lot of variety, going into a CFO-ship is very interesting. 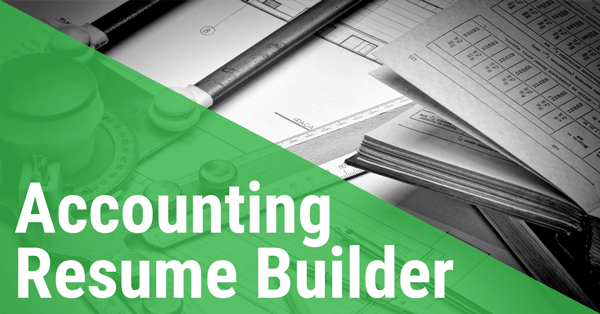 You get to do a lot more than just the accounting that you might have started in. If you wanted to start a career and work your way up in something like higher education, going for a controller position would be a good thing. In fact, we just hired a young man from our local Deloitte office to come on as an assistant controller and he’s going to be a big addition to the group. His background wasn’t in higher education, it was just in public accounting but he brings a lot of skills that we don’t currently have. I try and get a well-rounded group of people with different skillsets. Really, if I was interviewing, what I would be looking for is probably a little bit more in terms of attitude and the willingness to be creative and try things rather than simply the resume itself. I get a lot out of the chemistry between either me and the candidate, or my staff at large and the candidate. My advice to you all then, is when you’re getting ready to interview, get yourself all pepped up, be in a good mood, be proactive, be positive, and make people want to work with you. Bob Berchtold: Okay, so we’re coming up on time so I don’t want to take too much of your beautiful Sunday afternoon. I just have one more quick question. I don’t want to restrict it just to books, but if there’s any books or anything that has helped you along the way as you’ve gone through your career. Any books, or training, or advice you got along the way? Erika Steiner: I’ll go to training because personally, when I get out of the office I read for pleasure, I don’t read self-help books. I did earlier in my career but now I just want to unwind when I’m reading. In terms of education, I mentioned earlier Lean. That is such an important tool to master, that if you haven’t already encountered Lean in your career, I would recommend that you take a course in it. There are some that are maybe one week course where you can actually pick up a certificate. It not only looks great on your resume, it also will give you the skillset that you can use forever. I think it’s become so widespread that now it’s infiltrating governments and they’re usually the last adopters in the scheme of things. That’s what I would recommend is get yourself some Lean training. Bob Berchtold: Wonderful. Well Erika, thank you so much for coming on the show today, I really appreciate it. This was great. Erika Steiner: Very happy to do it. Thank you so much for inviting me. Bob Berchtold: All right guys, that’s it for today. Thank you again so much for listening. If you enjoyed this episode, don’t forget to head over to the show notes at AbacusShow.com/304, and while you’re there, pop in your email in the little box at the top and I will personally send you three of the most popular episodes we’ve ever had here at the Abacus Show. Erika Steiner’s career has taken her through multiple industries. She spent time overseas, and even learned German by moving to Germany for an expat assignment. 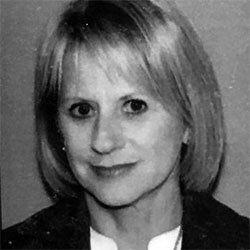 Today she’s the CFO of the Connecticut State Colleges and Universities system. She’ll share how she got started. What she’s learned along the way. And what you need to know if she’s on the other side of the table in your next job interview.